My wife's family visited from out of state. One of the places we visited was the Reptile Lagoon at South of the border. 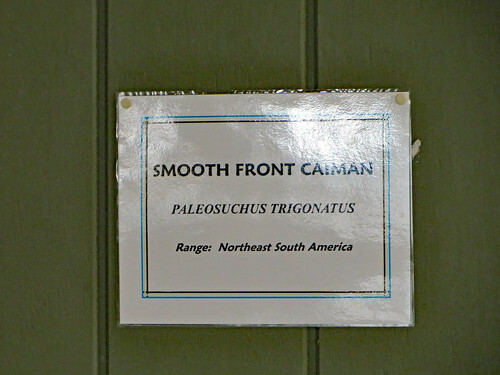 Pictured is the sign regarding the smooth front caiman.